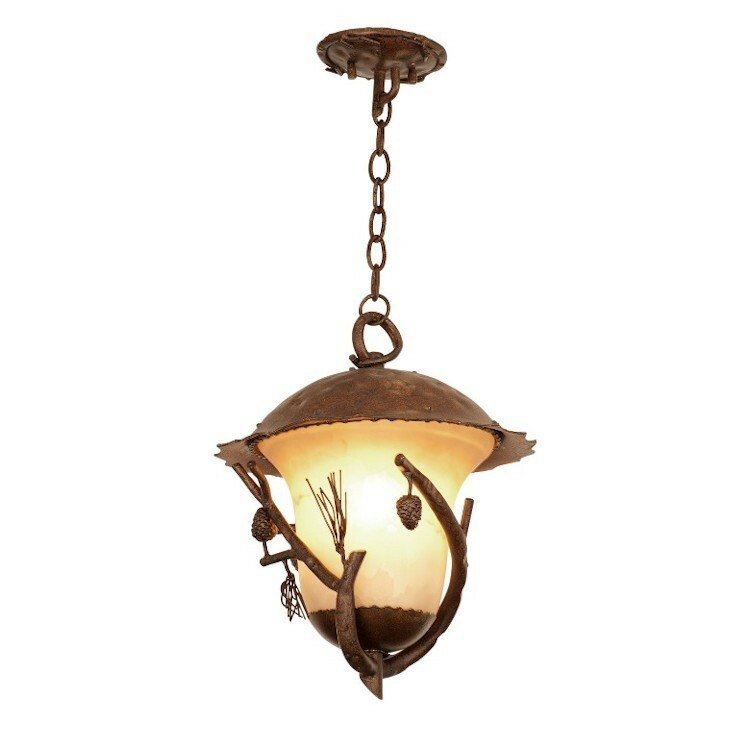 Our rustic small Ponderosa hanging lantern has faux marble glass shades and a Golden Meadow finish. Our rustic small Ponderosa hanging lantern has faux marble glass shades and a Golden Meadow finish. This rustic outdoor pinecone light measures 14"Diameter x 16.25" H and uses one 100 watt bulb. Ships direct from the manufacturer in approx. 4-6 weeks.